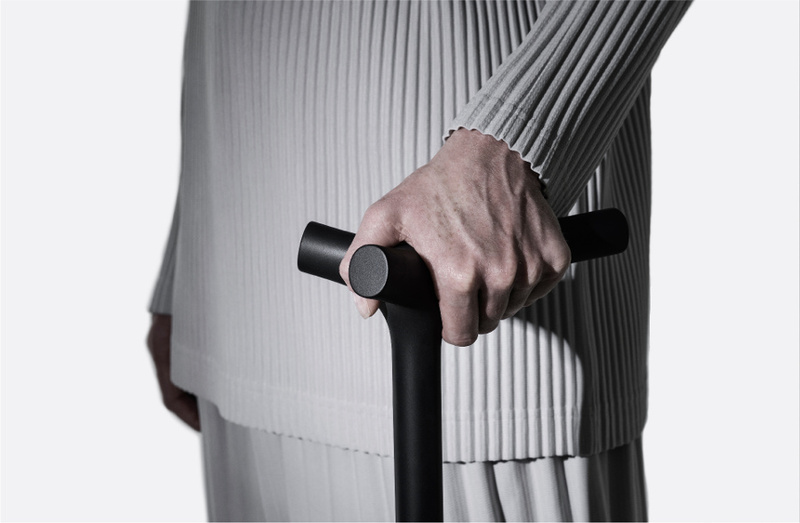 In 2017, MHOX contributed to the design of ENEA, the first fully 3d printed walking stick. Shiro Studio's ENEA walking stick is the result of comprehensive research and a collaborative project focused on developing an innovative walking stick which addresses the stigma and flaws often associated with walking sticks currently available on the market. ENEA invites its users to establish an emotional connection with the walking stick, seen as a functional, proud and contemporary design statement rather than an unavoidable manifestation of their physical limitations. 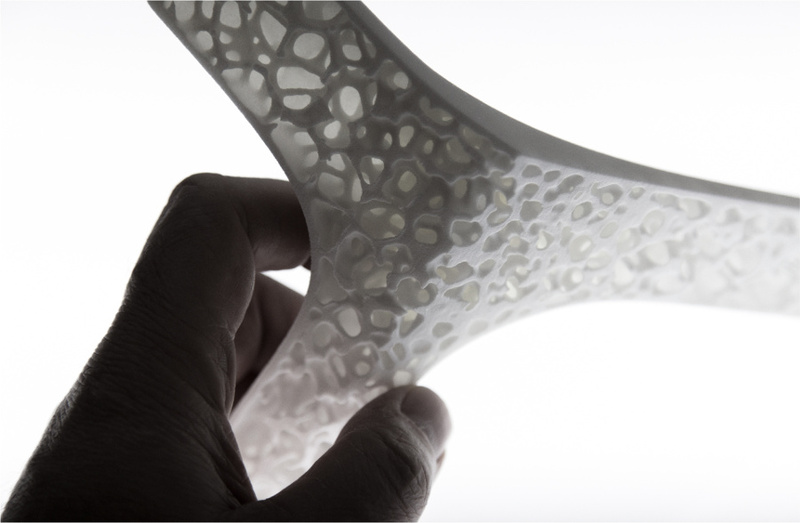 ENEA proposes a range of design innovations to improve comfort and handling whilst promoting a contemporary design language and manufacturing technique. The three-axis handle geometry allows the stick to rest vertically on the floor without any additional support. This in turn allows the user to engage in parallel activities without the worry of the stick falling down and having to reach to floor level - a particular problematic scenario for elderly or mobility challenged users. The handle design also ensures a safe, stable resting balance when leaning onto walls, due to a two-point contact. The handle has also been designed to offer a higher degree of grip comfort, reducing hand ligament load stress by offering a wider, ergonomic surface which can be held in two different positions. 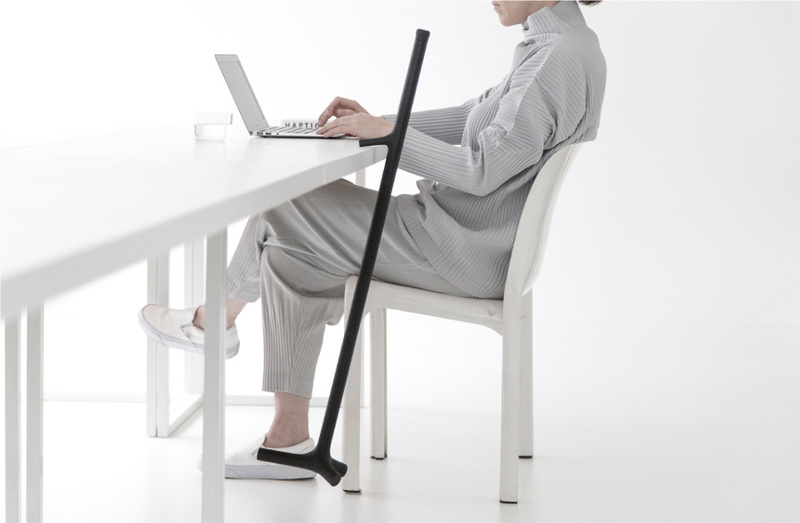 A small appendix in the lower section further increases the flexibility of safely parking the stick onto horizontal surfaces like desks or shopping counters, enabling its users to always have the stick close to them, freeing them to use both hands. 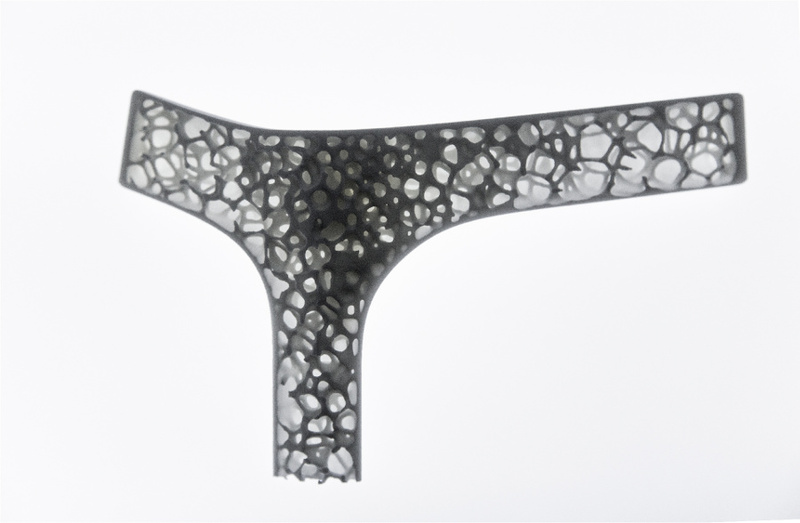 In order to keep the stick as lightweight as possible, without compromising its structural integrity, an internal porous structure, mimicking the trabecular bone tissue, has been developed exclusively for Shiro Studio by MHOX Design and engineer Vincenzo Reale of Arup, using generative design. 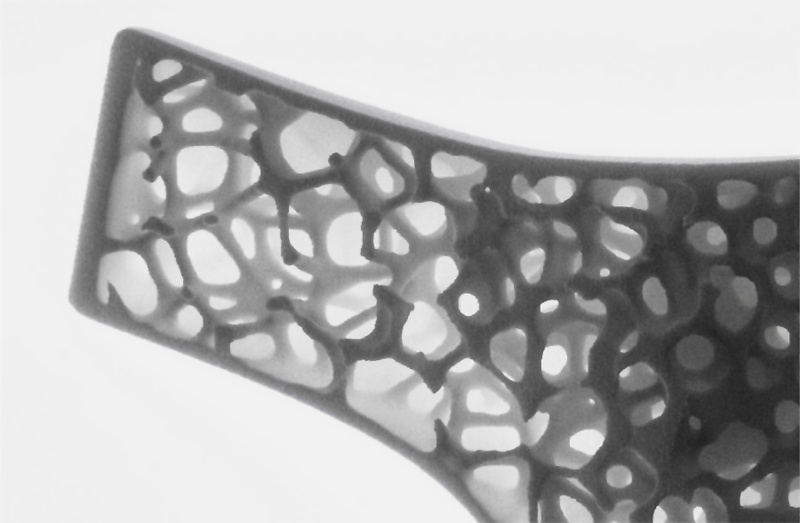 The porous structure is an application of MHOX Carapace research, in which the three-dimensional pattern occupies a volumetric space with changes in density related to structural maps. This way it was possible to minimize the weight of the object while preserving its structural performance.